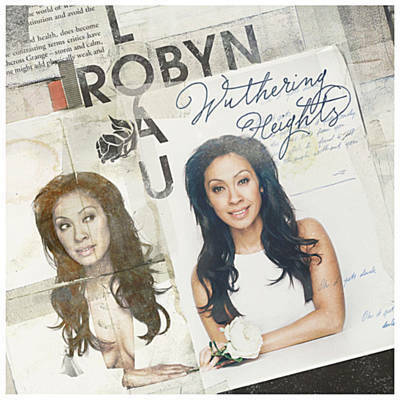 Born on 20 October 1972, Robyn Loau first came to prominence as a member of the Australian all girl pop group Girlfriend, with fellow vocalists Jacqui Cowell, Siobhánn Heidenreich, Lorinda Noble and Melanie Alexander. Their debut single, 'Take It from Me', released in April 1992, peaked at the top of the Australian ARIA singles chart. Two further Australian top 20 singles followed, with 'Girl's Life' and 'Without You', and the group's debut album, 'Make It Come True', was certified platinum. Girlfriend's popularity helped launch their own range of clothing. The group achieved minor success in the UK, where 'Take It From Me' and 'Girl's Life' charted at number 47 and 68 respectively. 'Heartbeat', the first single from the band's second album, 'It's Up To You', was released in September 1993, coinciding with the Heartbeat Tour to promote the new material. The album was certified gold in Australia, and contained two top 50 singles, 'Heartbeat' and the ballad 'Wishing on the Same Star'. Loau left the band in mid-1994 to pursue a solo career. The four other members continued performing and renamed themselves GF4. However, the group disbanded in 1996 after two further singles. Loau released her debut solo single 'Sick with Love' in September 1997. It was written with and produced by Adamski. Loau's second solo single, 'Love Addiction' (featuring EMF singer James Atkin), peaked at number 66 in Australia. Loau's debut album 'Malaria' received a promotional release within Australia and was well received by Australian critics, drawing comparisons to Portishead and Neneh Cherry. However, only weeks prior to the scheduled commercial release of the album, Loau was dropped by her label, PolyGram, during their merger with Universal Music, and the album was shelved. The following years saw little music output from Loau, with the main exceptions being a cover of Duran Duran's 'The Wild Boys' for the various artists Duran Duran tribute album UnDone in 1999, and Sydney Gay and Lesbian Mardi Gras theme 'Never Miss the Water' in 2003. The album 'Malaria' was finally released in July 2008, subtitled 'The Lost Album'. Her first two solo hits were included in the album, a decade after they charted. Meanwhile, Loau recorded a cover version of the Korgis' 'Everybody's Got To Learn Sometime', which was used to promote the Australian reality TV show 'The Biggest Loser'. In November 2010, Loau's second album 'Only Human' was released. This was followed in 2012 by a single, a cover version of Wuthering Heights. Robyn Loau. Wikipedia, retrieved 29 August 2018.